MP John Lamont has described moves by a medical practice to shut a branch surgery in a small Borders village as "very disappointing". A number of reasons have been cited for the plans for the Cockburnspath site. 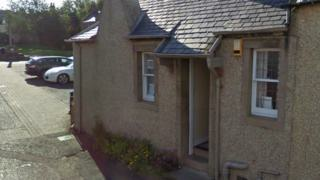 Eyemouth Medical Practice blamed the design of the building, lone working, unreliable IT provision and a GP shortage in rural areas. Mr Lamont said he hoped more than 200 patients affected would be supported during the closure. Practice administration partner Dr Kirsty Robinson said: "We wish to reassure patients that the medical practice will continue to provide you with the usual general medical services from our other two premises in Coldingham and the newly refurbished Eyemouth Health Centre. "Both locations are accessible via public transport and home visits, where deemed clinically appropriate, will continue to be provided to eligible patients. "Over recent years, we have established an arrangement with the local shop in Cockburnspath to hand out dispensed prescription medication to patients who have signed up for this service." She said that would continue on a weekly basis following closure of the surgery. NHS Borders medical director Cliff Sharp added: "Patients who are registered with the Cockburnspath branch surgery have received a letter from Eyemouth Medical Practice advising them of the intention to close the surgery in August, for a number of practical, safety and quality of care reasons. "I am supportive of this intention, but appreciate that it may cause some anxiety for patients, who have been invited to discuss any questions or concerns they have regarding this decision with us here at NHS Borders by Friday 21 July." Mr Lamont said the move was part of an "ongoing trend" of a decline in the number of GP surgeries. "This is a really disappointing decision which will make it more difficult for some to access GP care," he said. "To announce a closure with only a month's notice is far from ideal and the priority must be to ensure that patients are properly supported during this time."